This purchase provides use and download on ten devices and is only available to US Local, State, or Federal Government employees. If you are a US Government employee, your employment will need to be verified. Please make sure your affiliation is correct in your member or user account. 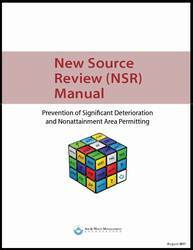 If you are not with a US Government agency, or wish to purchase a single or 5-device subscription, please click the NSR Manual category on the left for other options.